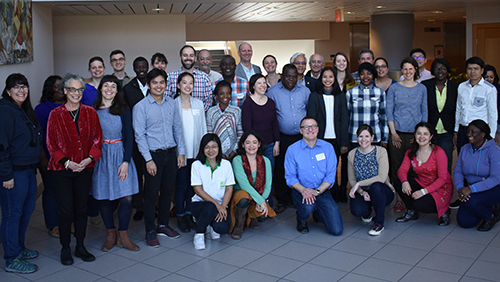 On April 25 and 26, 2018, the University of Michigan School of Public Health brought together nearly 50 experts from around the world to discuss solutions to the public health challenges caused by electronic waste--or e-waste--which refers to electronic devices such as cell phones, computers, and household appliances that are thrown away or recycled. 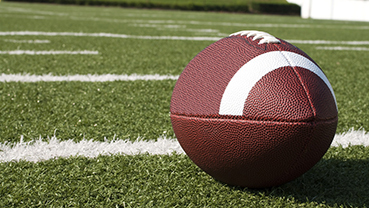 Could occupational health and safety laws be applied to better protect NFL players? A new analysis in the Arizona Law Review co-authored by Adam Finkel, clinical professor of environmental health sciences, explores this possibility. Almost no place in the continental United States is free of man-made sound. And noise doesn't just affect hearing; it can impact your health. 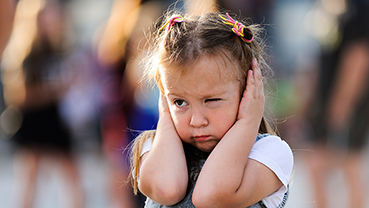 "We're in active denial" about the health effects of noise, says Rick Neitzel, associate professor of environmental health sciences. This group of more than 80 conditions is on the rise--and it attacks young women most often. Emily Somers, associate professor of environmental health sciences, and other experts explain how to recognize it and the latest advice on how to prevent it. The School of Public Health's Eugene Feingold Excellence in Diversity Award recognizes and honors faculty, staff, and students who champion diversity efforts throughout the school and contribute positively to an environment of inclusion. This year's staff Feingold Award was awarded to Jenny Crawford, executive secretary for the Department of Health Behavior and Health Education. Katrina Burns, a doctoral student in Environmental Health Sciences, is the very first student recipient of the Feingold Award. 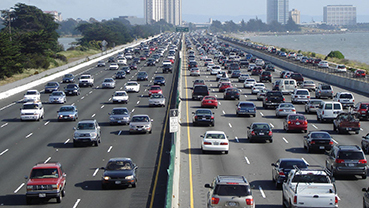 An updated evidence review strengthens the concept that exposure to environmental noise from road traffic and aircraft may increase the risk for heart disease and gets at the potential underlying pathophysiologic mechanisms. 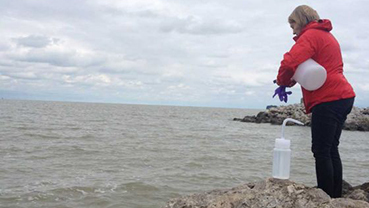 When waves out on the Great Lakes churn up water during a bloom, they could be sending pieces of algae and their toxins flying, scientists recently reported in the journal Environmental Science & Technology. These particles can float off on the wind for miles. That means people living near the lake might be breathing in algal toxins without realizing it. And this isn't just a problem for folks living on the water. Andrew Ault, an assistant professor of environmental health sciences, explains. This February, the University of Michigan School of Public Health established an accelerated master's degree program with undergraduate programs on campus and Tsinghua University School of Environment and Peking University College of Environmental Science and Engineering. The Department of Environmental Health Sciences will pilot this partnership-based program for three years. Four University of Michigan researchers have been named 2018 Sloan Research Fellows. Andrew Ault, assistant professor of environmental health sciences and chemistry, is among four University of Michigan researchers and 126 early-career scholars nationwide recognized by the Alfred P. Sloan Foundation. The recipients receive a two-year, $65,000 fellowship to support their research. 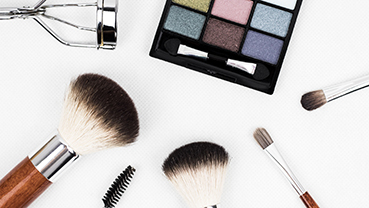 PhD candidate Lauren Johns talks with Real Simple Magazine about the public health impact of chemicals in food packaging, plastics and makeup. 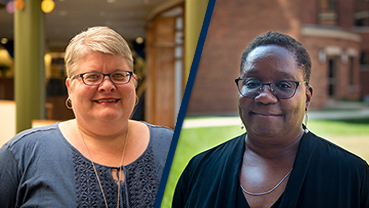 In January, the University of Michigan School of Public Health welcomed its second cohort of University of Michigan Professors of Global Health. The professorships, approved by the Board of Regents and effective January 1, and are held for three years. 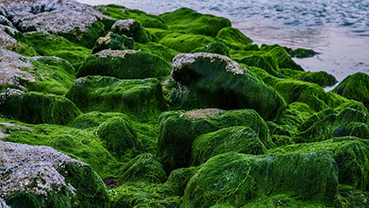 Waves lapping against the shoreline is always a pretty scene, but it may also be a way for toxins from harmful algal blooms to become airborne. University of Michigan researchers Andrew Ault and Kerri Pratt are exploring this issue. At work, crews use jackhammers to repair the concrete sidewalk outside your office. On your way home, drivers honk their horns as they pass by an accident along the highway. And as you get ready for bed, a Boeing 737 takes flight within miles of your home. You chalk it up as background noise, but these environmental exposures could have a profound impact on your health. And it goes well beyond just hearing loss. 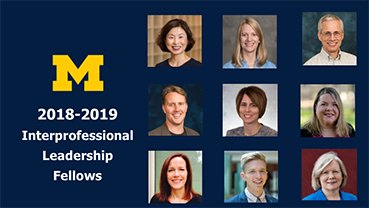 A record 21 educators in the third cohort of the Interprofessional Leadership (IPL) Fellows program highlights the growing interest in and commitment to interprofessional education (IPE) at University of Michigan. 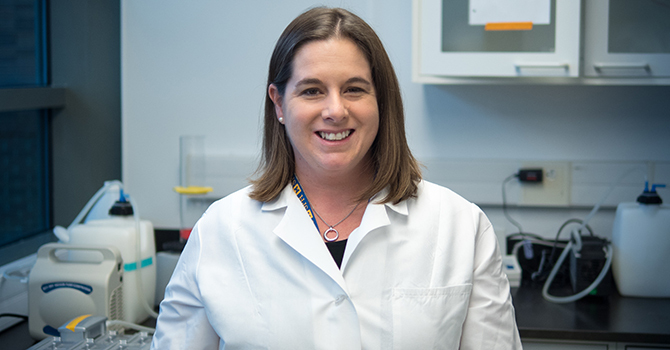 Dana Dolinoy, associate professor of environmental health sciences, has been named NSF International Chair of Environmental Health Sciences at the University of Michigan School of Public Health. Chuanwu Xi, professor of environmental health sciences at Michigan Public Health, talks to Angela Moore on 910 AM Detroit about water contamination and what residents can do to keep themselves and their families healthy. 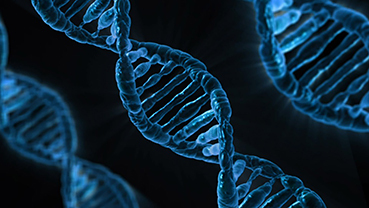 Faculty members at Michigan Public Health are leading the way in analyzing environmental and social factors along with epigenetic data to identify people and communities at risk for preventable diseases. Eventually, this research will lay the groundwork for targeted, precision health interventions and policies, social support, and communications that create better health outcomes both for individuals and on a population level. 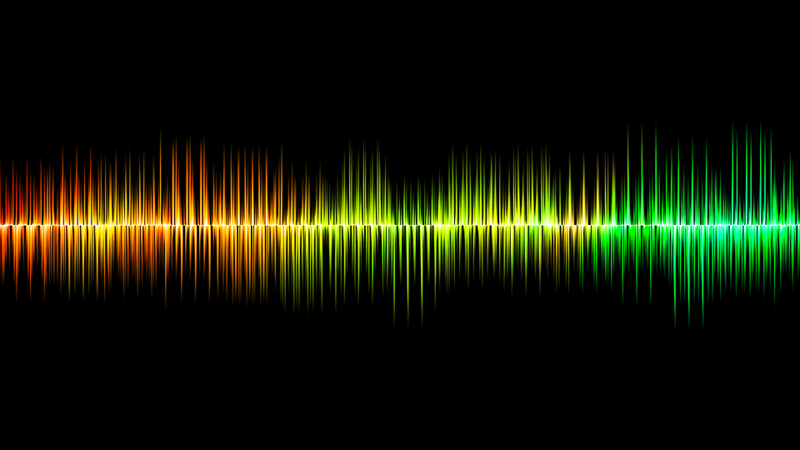 We're alive during the noisiest period of human history, and it's having powerful effects on our bodies, minds, and mood. 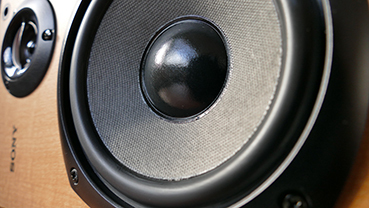 Rick Neitzel, associate professor of environmental health sciences, discusses noise exposure and its health implications for Real Simple magazine. Dana Dolinoy, associate professor of environmental health sciences, discusses her work on the epigenome, including how twin mom mice can birth very different looking newborns--either yellow and obese or brown and normal weight--depending on what they ate during pregnancy. A chemical currently being used to ward off mosquitoes carrying the Zika virus and a commonly used insecticide that was threatened with a ban in the United States have been associated with reduced motor function in Chinese infants, a University of Michigan study found. Five MPH candidates studying Industrial Hygiene at the University of Michigan School of Public Health received scholarships at the American Industrial Hygiene Association (AIHA) Conference on June 7, 2017. 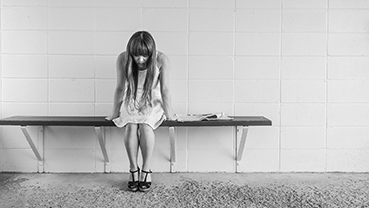 This group of more than 80 conditions is on the rise--and it attacks young women most often. Emily Somers, an epidemiologist at the School of Public Health, and other experts explain what young people need to know. The School of Public Health has launched a Global Cancer Initiative in partnership with the University of Michigan Comprehensive Cancer Center. The initiative will build on the university's existing global partnerships in research and training to address cancer prevention and control measures across the globe. Poor air quality in Detroit is putting people into the hospital, keeping them from going to work and even killing some. A number of community and environmental justice groups joined together with the University of Michigan School of Public Health to create a Public Health Action Plan, which was unveiled April 18. Academics from the School of Public Health and community activists have put together a plan for improving air quality in Detroit, which they will present on April 18. "In a situation like this, where a war zone is near a concentration of industrial facilities where toxic and explosive chemicals are manufactured and stored, it is possible that massive releases of toxic chemicals could be released," Rudy Richardson, professor of toxicology at the University of Michigan, told Fox News. "And that would result in high levels of civilian casualties." The unequal distribution of costs and benefits across society is one of the hottest topics in the regulatory arena--and one that, regretfully, has sparked fundamentally flawed arguments, threatening to distort and obscure much-needed discussion about redistributive policies. ANN ARBOR--About 1.1 billion teenagers and young adults around the world are at risk of developing hearing loss due to the unsafe use of smartphones and other personal audio devices, and exposure to damaging levels of sound in noisy venues. ﻿Lead paint poisons many more children than any other source. Are housing demolitions putting their health in danger? Lansing -- A "significant public health threat" is brewing in Michigan because of chemical vapors that percolate up from the ground of former industrial or commercial sites and can leak into nearby homes, Department of Environmental Quality Director Heidi Grether said. Premenopausal women with higher endogenous estradiol levels have a lower risk for developing type 2 diabetes in midlife as they transition through menopause vs. women with lower endogenous estradiol levels, according to an analysis of data from the SWAN study. SPH researchers examine impact of desalinated water at Queeri workshop in Doha. 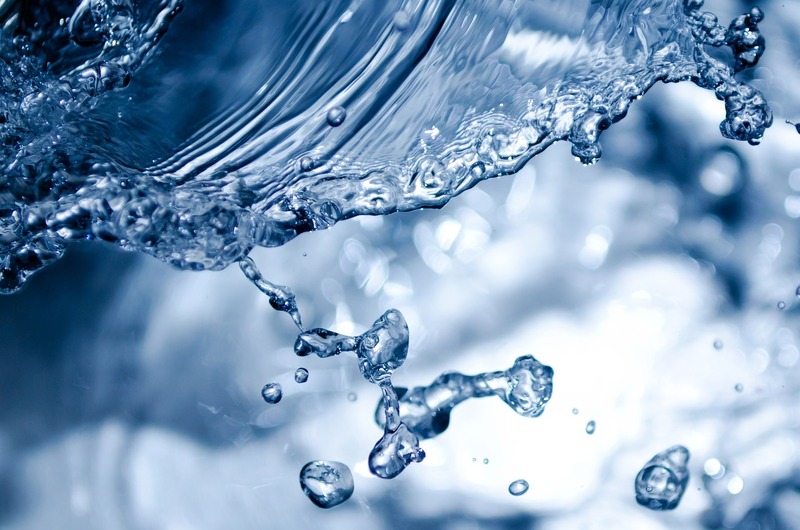 Researchers from Qatar, Europe, Asia, and North America gathered in Doha to discuss the impact of desalinated water on public health at a workshop organised by Hamad Bin Khalifa University's (HBKU) Qatar Environment and Energy Research Institute (Qeeri). It's natural to wonder if your environment is changing you. It's no secret that smoking and pesticides are bad for your lungs and that exercise is good for your heart. But these things may actually change the function of our genes in ways that can be passed on to our children and grandchildren. Smithsonian: Decades-old chemicals may be threatening polar bear fertility; Meeker and others look to PCB's. Between climate change, human conflict and habitat loss, polar bears have more than enough to worry about. But it turns out these vulnerable conservation icons also face a more unlikely threat: industrial chemicals that were banned almost 40 years ago. A new paper in the journal Proceedings of the Royal Society B finds that these and other contaminants still find their ways into the bodies of polar bears, where they can wreak havoc on their reproductive systems and fertility today. 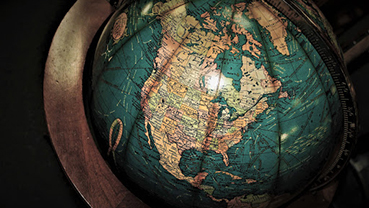 U-M School of Public Health and NSF International team up to help international students. The University of Michigan School of Public Health (SPH) has received a $2.5 million gift from NSF International to provide scholarship support for international students. Ten scholarships will be given each year beginning January of 2017. 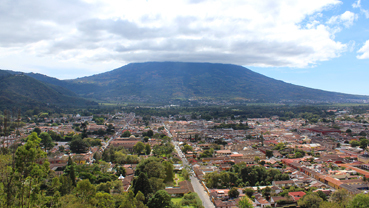 An underlying principle of the gift is to help fund students who, after receiving their world-class education, will return to their native countries to implement the knowledge, skills and expertise acquired through their studies at SPH. NIH Director's blog takes us inside Dolinoy's epigenetics lab. Step inside the lab of Dana Dolinoy at the University of Michigan, Ann Arbor, and you're sure to hear conversations that include the rather strange word "agouti" (uh-goo-tee). In this context, it's a name given to a strain of laboratory mice that arose decades ago from a random mutation in the Agouti gene, which is normally expressed only transiently in hair follicles. The mutation causes the gene to be turned on, or expressed, continuously in all cell types, producing mice that are yellow, obese, and unusually prone to developing diabetes and cancer. As it turns out, these mutant mice and the gene they have pointed to are more valuable than ever today because they offer Dolinoy and other researchers an excellent model for studying the rapidly emerging field of epigenomics. U-M celebrates World Polio Day: SPH and Rotary partner to light up iconic Rackham Building, October 24, 7-10 pm. CNN: Most of the world breathes polluted air, says WHO; Batterman explains how health effects can result. U-M study: Chemical exposure linked to lower vitamin D levels. 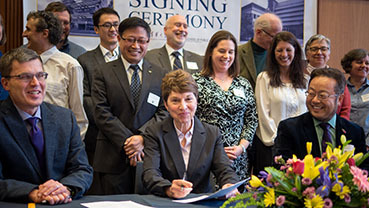 SPH grant will accelerate study of environmental impacts on health . ANN ARBOR--A $7.5 million grant renewal from the National Institute of Environmental Health Sciences to the University of Michigan School of Public Health will advance research on the effects of environmental exposures at vulnerable stages in life, with a long-range goal to improve medical and public health interventions.